Board certified since 2000, Dr. Giep serves as a primary care physician to adults in Plano and surrounding communities. Dr. Giep grew up in South Carolina and completed his undergraduate work at Emory University, medical school at the Medical University of South Carolina, and residency in internal medicine at UT Memphis. 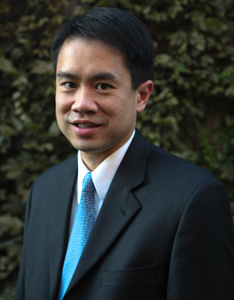 He practiced as a hospital-based physician in Houston and Dallas before moving to his private practice in 2003. Dr. Giep comes from a family of physicians. His dad and three brothers are all doctors. Dr. Giep strives to spend time with each patient and works to be accessible for their medical questions and concerns. “My goal is to dedicate time and attention to each patient so we can develop an individualized plan for their health needs,” Dr. Giep said. Dr. Giep is active in the community. He has volunteered at the Collin County Adult Clinic and has served on the Plano Parks and Recreation Board as well as numerous medical boards and committees. He was honored as the 2017 volunteer physician of the year for Project Access Collin County helping uninsured patients.He also participates in clinical research and is the principal investigator for his group in multiple research trials. Outside of work, he is an avid runner and cyclist and has completed ultramarathons and 100-mile bike rides. He also enjoys hiking, traveling and spending time with his wife and children. Dr. Giep is currently accepting new patients at his practice, located on the campus of Texas Health Presbyterian Hospital of Plano. Same-day sick visits are often available. For more information, please visit his website: planomd.com. Read More About Son Giep, M.D.